What I think I used to hear Ray Hunt say at his clinics is that he was there for the horse and if the people could come along, that was great, if not, that was okay with him too. When watching him at a clinic, Ray would take the time to help a rider that showed some promise and he would visit with people that were on the verge of finding a piece of what he had to offer his horses to help them with their search. Balance is one of the main keys in horsemanship and in my world of helping people with their horses, I strive to find the balance between what the horse needs and the rider needs. The horse has an amazing ability to adapt to its life. He learns what he lives and lives what he learns. He’s just to honest to not do that. And, that’s one of the reasons that I trust what the horse tells me about his life rather than what the rider’s perception of what the horses life is like. As a person, I know that I have good points and not so good points. I also have a lot going on in my life….. distractions. As a horse person, I owe it to my horse to put those distractions aside while i’m with him and allow for the whole of me to be with the whole of him for whatever time we have together. As a teacher, I try to provide a few tools to help my students gain the confidence they need to feel safe. But, the best thing I can help them learn is to trust in their horse so their horse can trust in them and to feel what the horse is offering them. The horse is the best at teaching that! Enjoy this beautiful day God has made!! Just returning from a 3 day ranch retreat at the Sheep Creek Ranch on the Colorado/Wyoming border. Thank you Steve and Sheri Gulley for allowing us to enjoy your ranch and the surrounding country. And, thank you to Marion, Phil, Lauren, Ana, Pam and Vickie for choosing to ride with Amy and Bridle Bit. We had some awesome rides in some of the most beautiful country I’ve ever seen! It’s always interesting to me how differently a horse and rider feel in different environments. 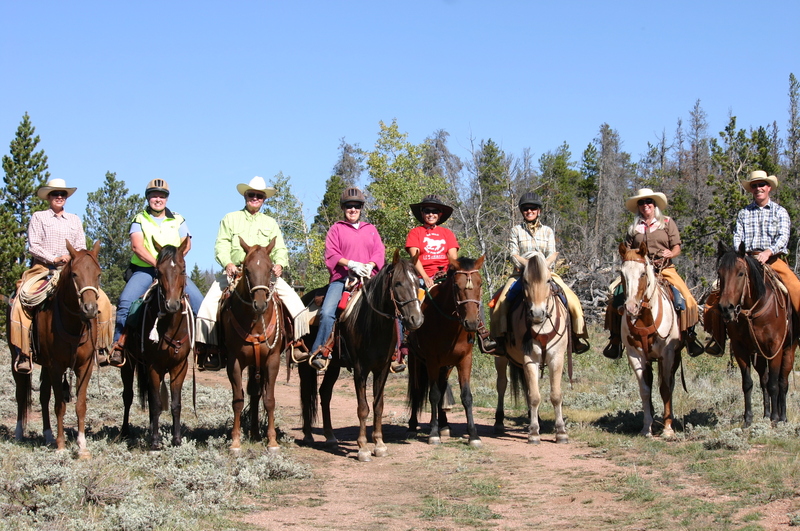 All of these horses and riders were experienced trail riders and yet there was still a few things that would show up to work on at various times throughout the ride. Nothing horrible, nothing life threatening, just fun little projects to get the horse and rider more together and relying on one another in unfamiliar territory. The last ride on the last day felt better and looked better to everyone. More trust was built, more confidence was established. Isn’t that what we all are striving for? Hope your weekend with your horse was safe and enjoyable too! 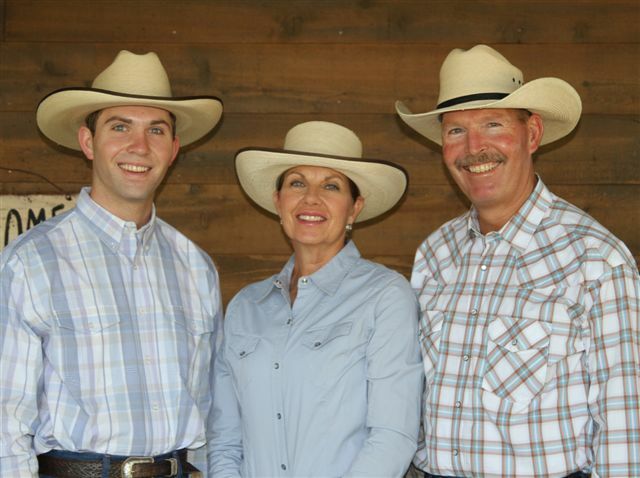 Hello from the Bridle Bit Ranch team! Yesterday I had the opportunity to ride a couple of horses that we had started years ago. Both of these horses have had sporadic riding since then, some of it good, some of it not as good, but, none of it consistent. Both of these horses reminded me of a couple of things I’ve noticed over the years. One thing is that there really is no replacement for consistent, quality riding to keep a horse soft and light. The other thing is how much the horse craves those spots where they are soft and light and with the rider and, how fast they’ll come back to that when it’s offered. Often times, we can’t control the consistency of our riding. Let’s face it, for most of this is recreation and life gets in the way of our FUN more than we’d like. We can, however, control the quality of our rides. Each of us has the responsibility to offer our very best to our horses each time we ride them and to continue to offer them the very best deal we can from deep inside ourselves. Have a safe and rewarding day with your horse today! Good morning all….it’s shaping up to be a beautiful day! We are blessed to have lots of good horses to ride and each one has something to teach us. Yesterday I was riding an older mare that is nice and gentle but, I’ve struggled with getting her to be as soft on her left side as she is on the right. Tom Dorrance and Ray Hunt talked a lot about fixing it up and waiting. They also talked about being aware of small changes toward what you want to have happen. As this mare and I were moving around the arena, I would try to fix it up where she would look left with just taking the slack out of the left rein. We’d drift along with her putting a little pressure on herself by trying to look right. Pretty soon, she’d make a little try to the left and I’d release and go on. Next time I might try wiggling my left foot a little to get her to look left. Again, we’d drift along together and pretty soon she’d come through with a little try. After 10 or 15 minutes of this mixed up with some other things, we were able to get together going to the left with just very little effort. That left side will still need my attention more than the right side to get her caught up but, we made some nice changes together and she taught me the value of doing less and waiting for a change. We pray for a safe and productive day for all!